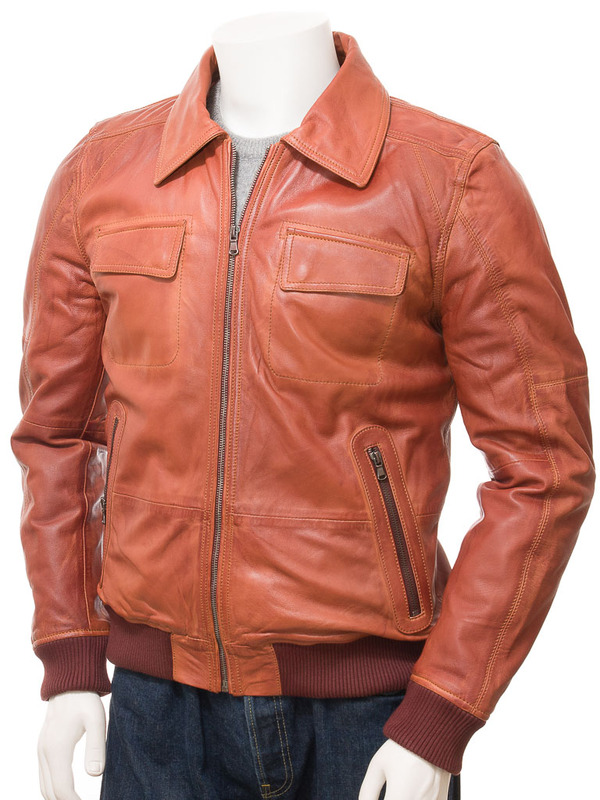 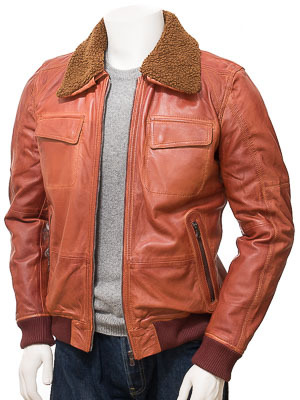 An amazing leather bomber jacket with a detachable borg collar. 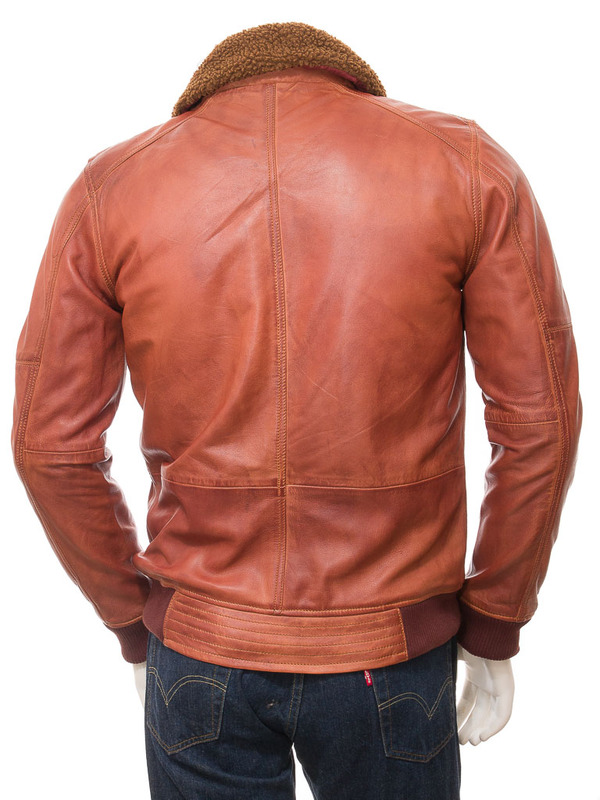 Crafted from an ultra soft and supple sheep aniline leather in a warm rich colourway, this jacket features a centre YKK zip that extends up to a shirt style collar. 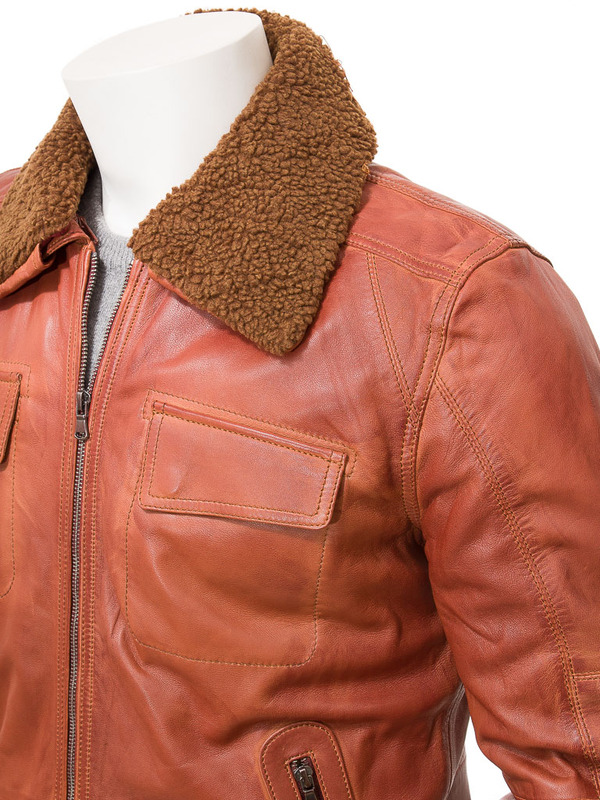 This has an optional and detachable borg facing for additional warmth around the neck on the chilliest days. As with all bomber style jackets, a rib knit at the cuffs and hems helps with retaining the heat and there are a total of four pockets on the exterior. 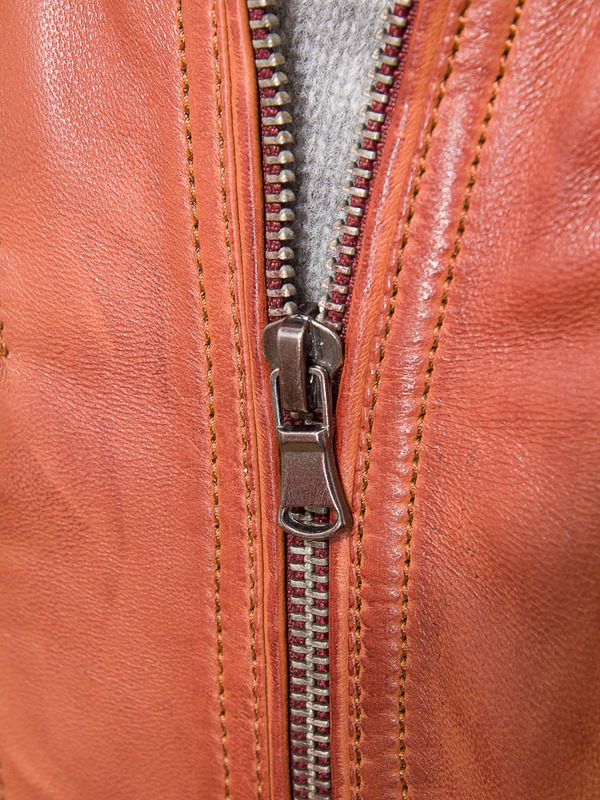 Take a look inside and you will find a full satin lining and two more pockets, one of which is zipped.